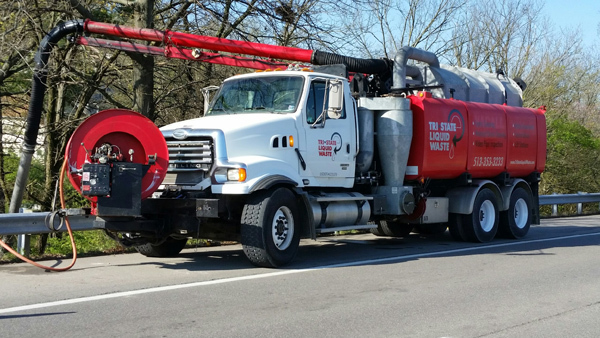 VacAll Combination Sewer Cleaning Truck. 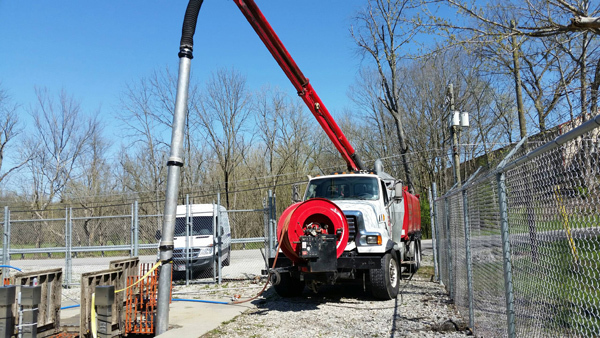 This truck and our years of experience allows us to reach deeper depths for manholes and lift stations than most ordinary vacuum trucks. We use a positive displacement blower system that sets the industry standard for high performance and reliability. The vacuum and jetting system enable us to open stubborn clogged sewer lines and remove more debris. 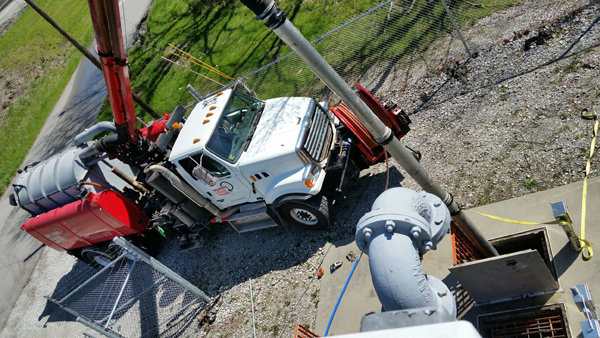 The 8-foot, 6-inch telescopic boom allows us to place the vacuum power where it’s needed. We can waterjet pipes up to 36” in diameter.